Betty White just celebrated her 97th birthday! I’ll have whatever Betty has been having! 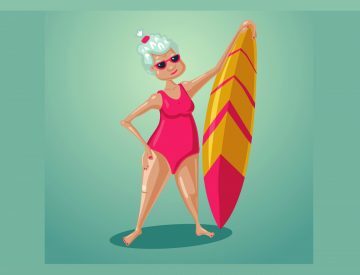 She’s a definite role model for aging the fun way! Plus of course Betty celebrated her 97th birthday in a very cool fashion. 97 year young Betty White played poker with her close friends – who she’s been actively playing poker with for many years. What can we learn from Betty White when it comes to living longer? Betty White is doing 3 specific longevity secrets! If you want to keep on living, you might want to keep on making a living. According to Harvard’s famed Longevity Project, those who made it into higher levels of old age were folks who enjoyed fulfilling careers and continued to work — at least on a part time basis — well into their 70’s. 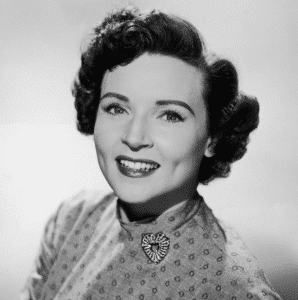 Here’s a photo of Betty White from when she first started acting! Well, check it out! Betty is continuing to work well into her 90’s! I have a term I use – Wellderly – which means that although you might be growing older, you don’t feel old or act your age! Betty is definitely part of The Wellderly Club – which I am also subscribed to! These days you see more and more older Hollywood folks –still actively working – well into their 90’s. My 87 year young mom recording the narration for my longevity book! Pssst….My 87 year young mom is a longtime actress and voiceover narrator – and she is practicing “plan de vida.” She is still busy working. 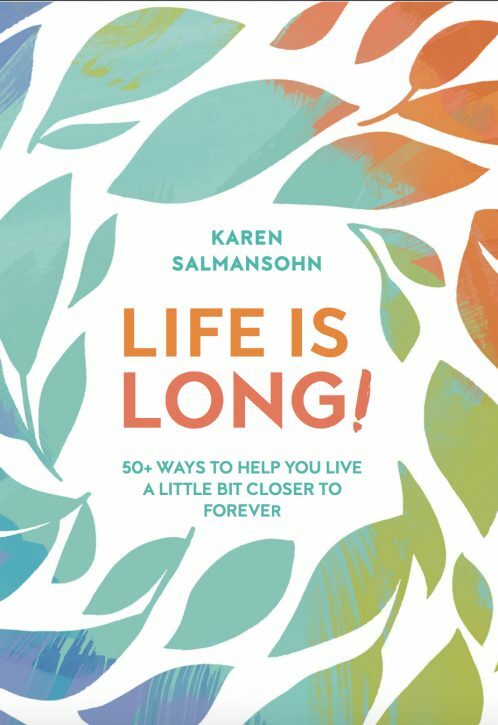 In fact, my 87 year young mom was the voiceover narrator for my audio book of Life is Long. Up above is a photo of my mom at 87 from the Audible recording session! Doesn’t she look awesome? Don’t laugh, but research shows laughter helps you to live longer. Laughter has been shown to boost the immune system, increase natural killer cell activity in the blood, increase free radical-scavenging capacity in saliva and lower levels of the stress hormone cortisol – and control/reduce pain levels. Betty White has an awesome sense of humor – and is always finding reasons to laugh- which has definitely helped her to age gracefully. A study from the Foundation for the Advancement of International Science (in Japan) showed that laughter seems to lower levels of a dangerous protein involved in the progression of diabetic nepropathy – a kidney disease that occurs as a result of diabetes and which is the leading cause of kidney failure. Laughing is good for inflammation – the bad guy culprit in a wide range of diseases from arthritis to cancer. As a result, laughter can help reduce age-related chronic diseases which are frequently caused by inflammation. A study in Oxford University Press stated that blood levels of key inflammatory compounds dropped considerably after patients with rheumatoid arthritis watched a humorous film. I also think that “laughing it up” works to keep you younger because usually you’re laughing with a loved one. 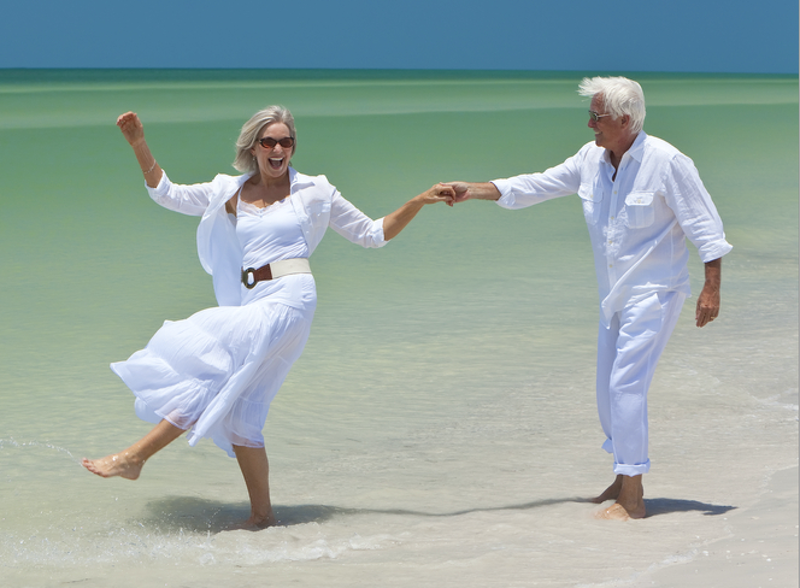 Longevity studies also report that the better your social life, the better your whole life! In 2010, researchers at Brigham Young University published a fascinating study: People who enjoyed strong social ties had a 50% increased likelihood of survival over a period of 7.5 years – in comparison to folks with weak or no social ties. Plus, here’s a 3rd secret to longevity – which relates back to the importance of enjoying loving social ties with people! Get to flirt with Ryan Reynolds! Sweet Ryan Reynolds wished his The Proposal costar a happy birthday on Instagram – in a very longevity-boosting way! Ryan expressed his love for Betty – even joking that they had been romantically involved – and shared a sweet photo of himself and Betty staring adoringly at each other. “I don’t usually wish ex-girlfriends Happy Birthday. But Betty’s special. Happy Birthday to the one and only Betty White,” Reynolds wrote on his instagram feed. Geez, Ryan, if you’re listening. I’d be happy for you to share a message like this for me when I turn 59 next year!